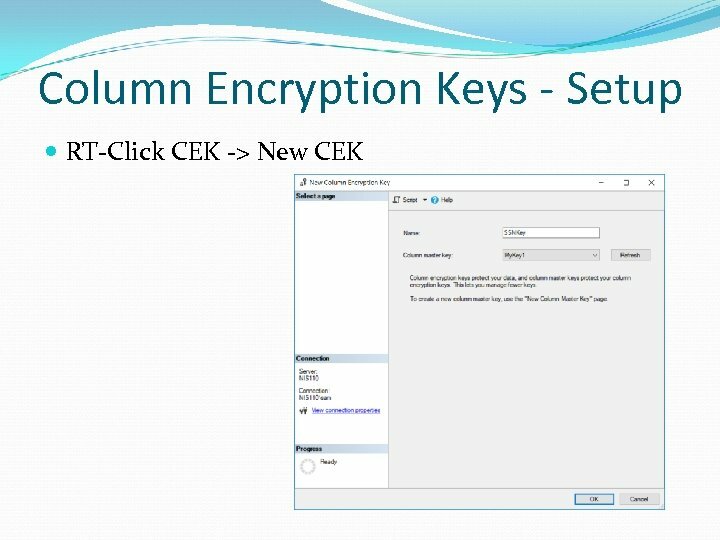 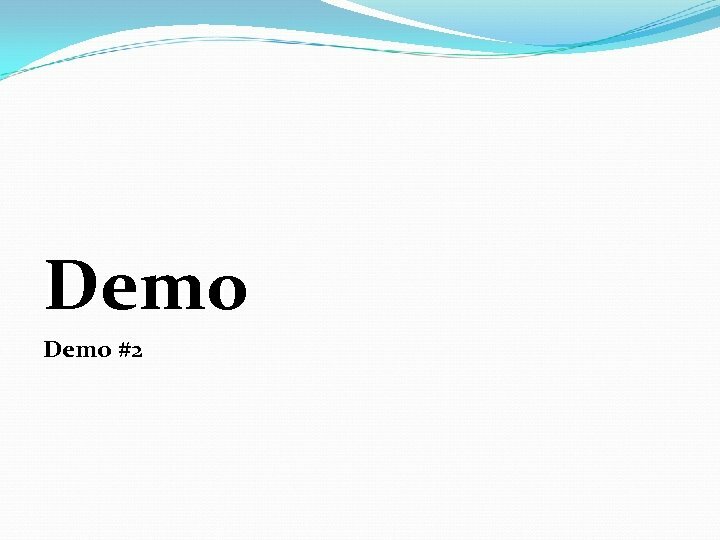 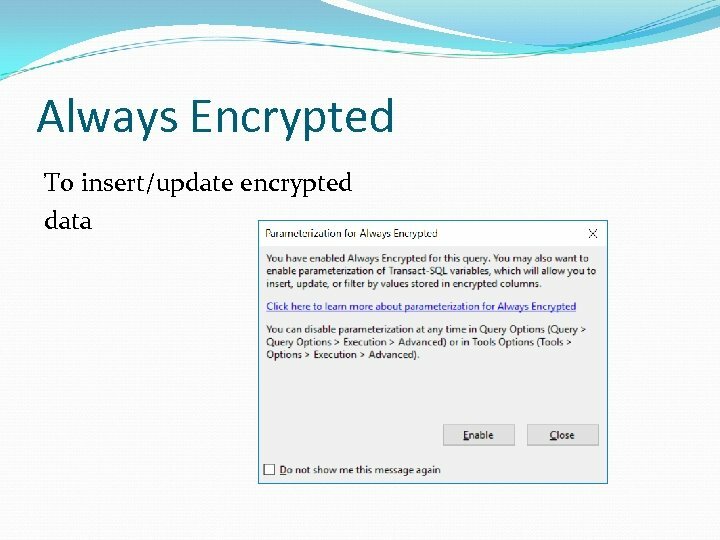 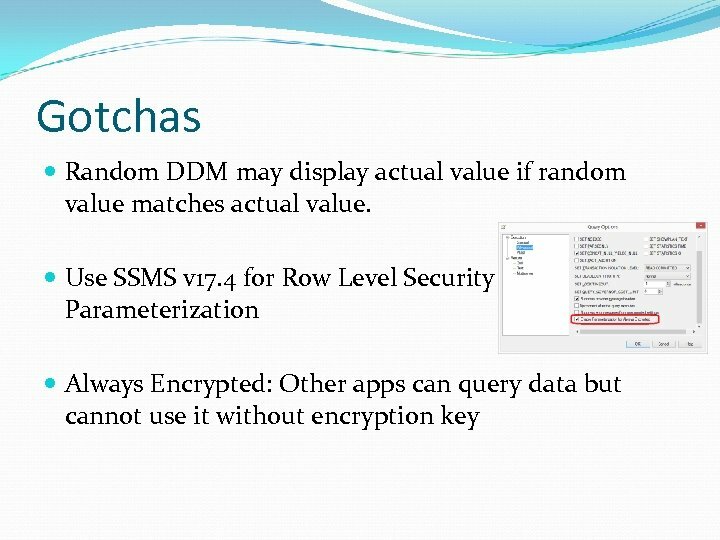 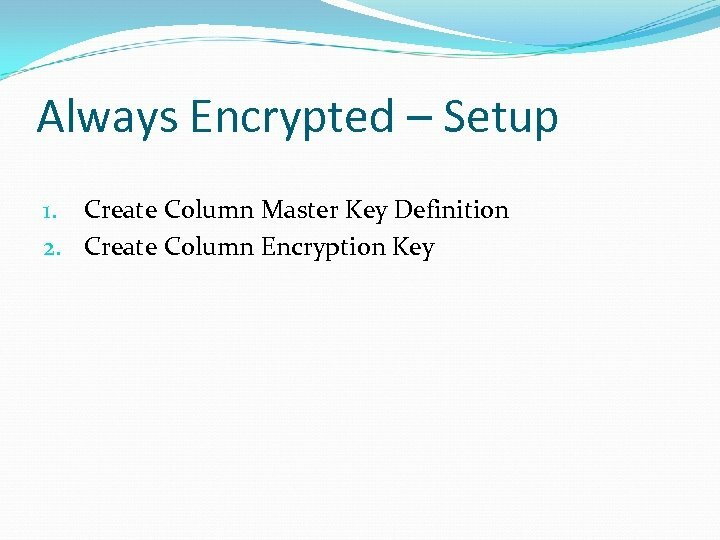 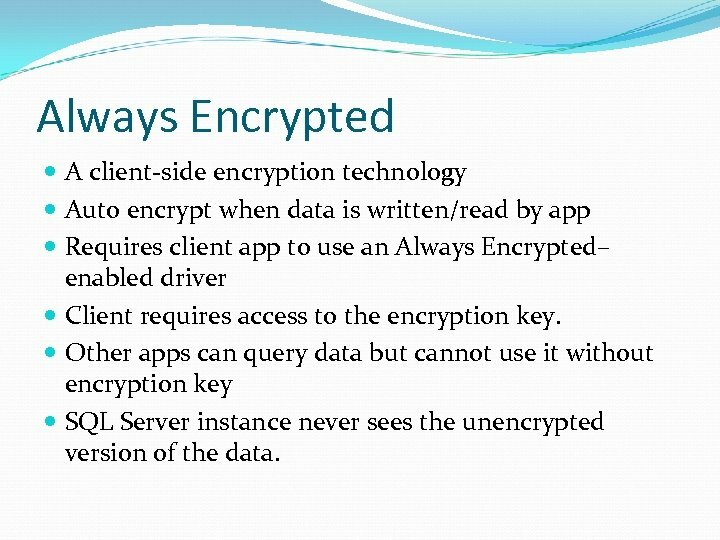 Always Encrypted A client-side encryption technology Auto encrypt when data is written/read by app Requires client app to use an Always Encrypted– enabled driver Client requires access to the encryption key. 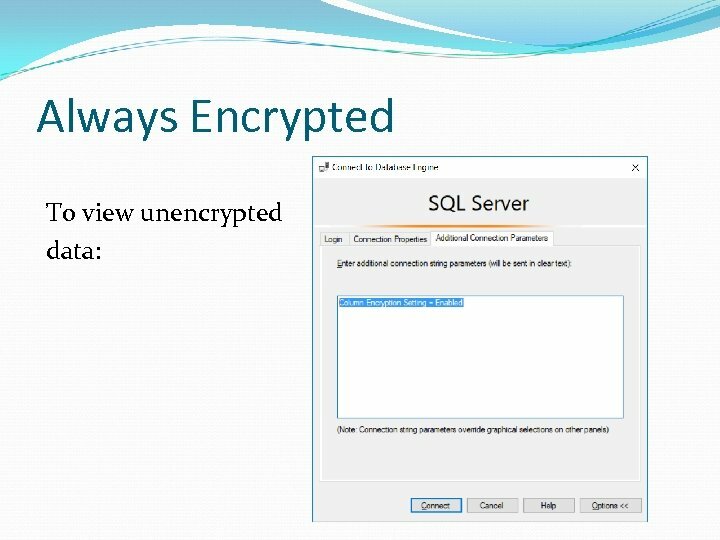 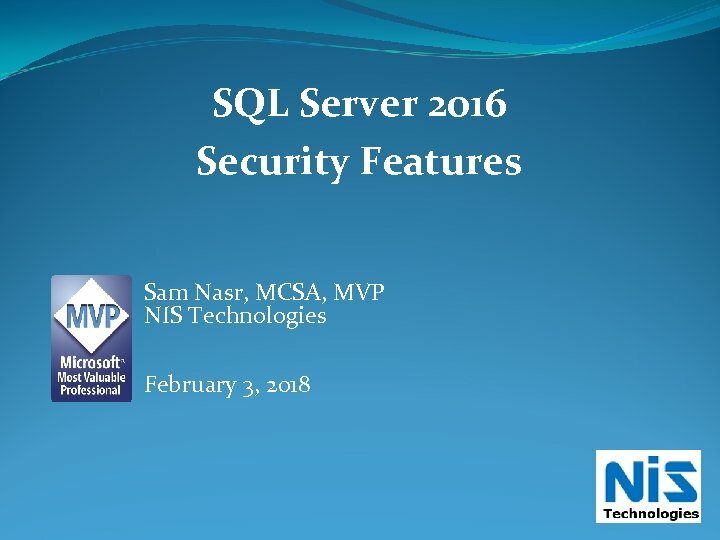 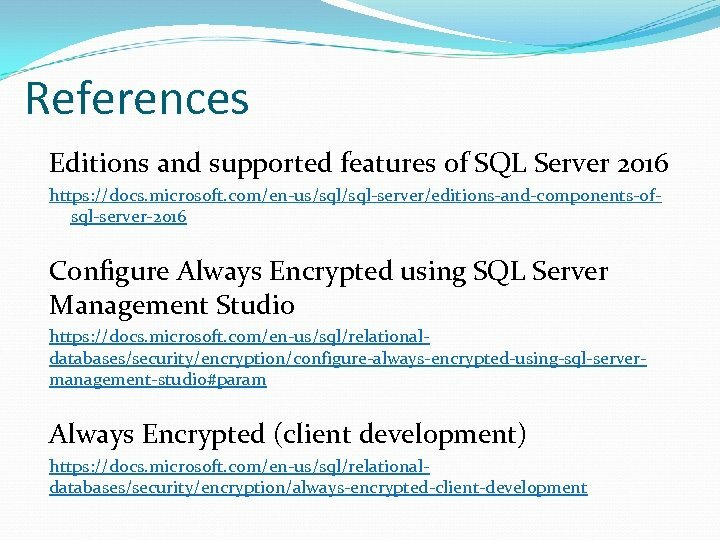 Other apps can query data but cannot use it without encryption key SQL Server instance never sees the unencrypted version of the data. 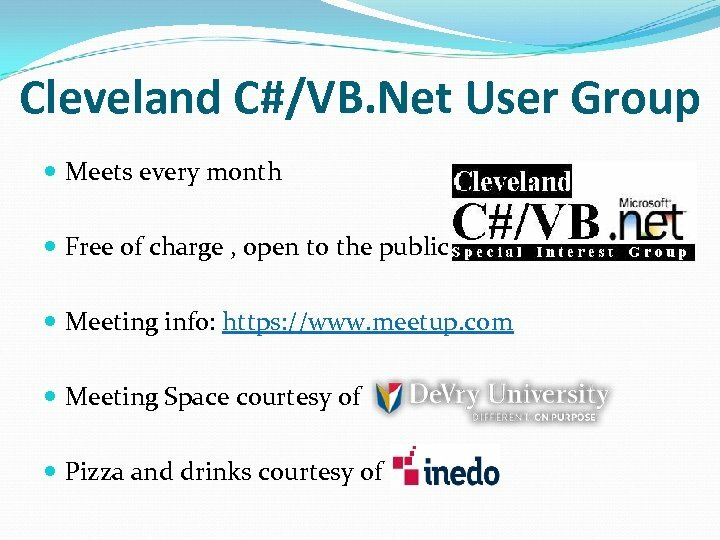 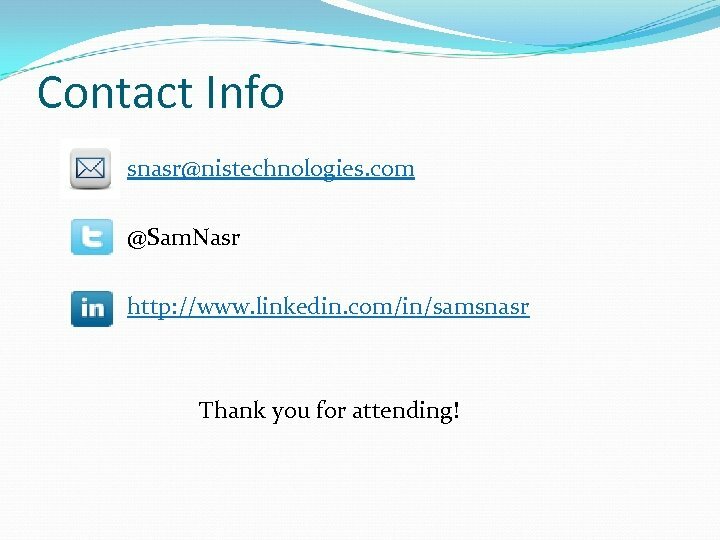 Contact Info [email protected] com @Sam. 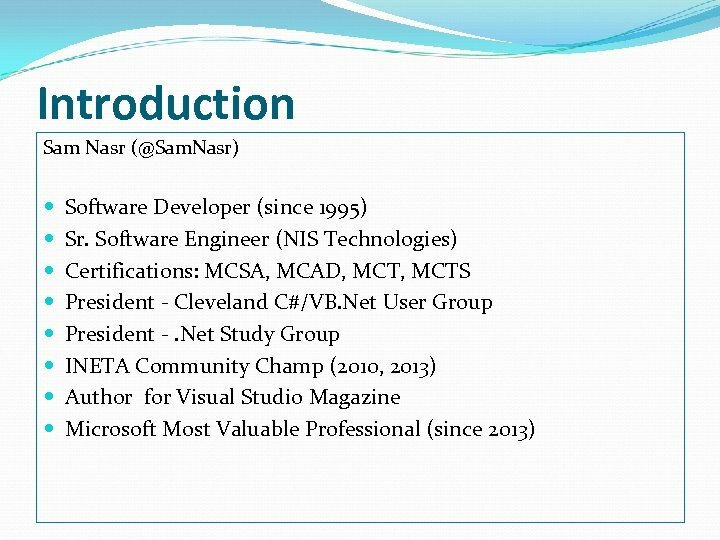 Nasr http: //www. 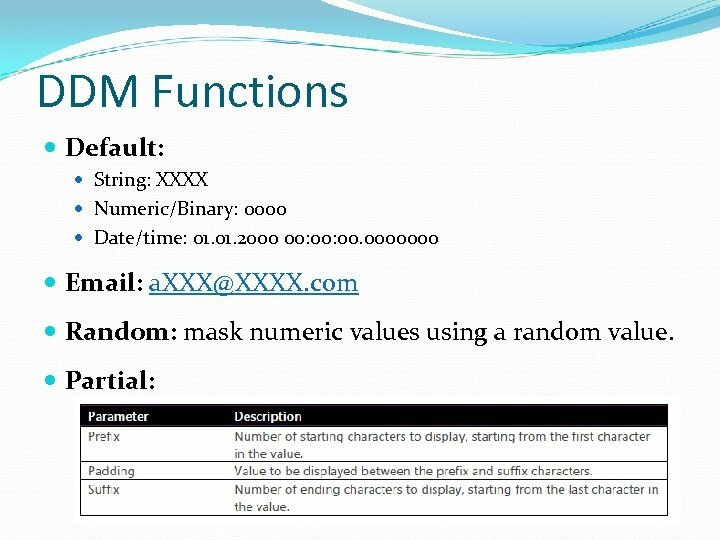 linkedin. 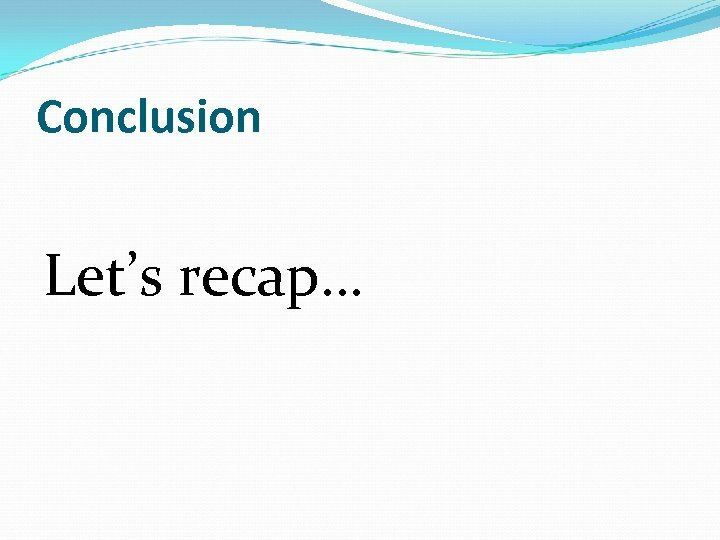 com/in/samsnasr Thank you for attending!